Tis the season for candy canes and my family could not be any happier. 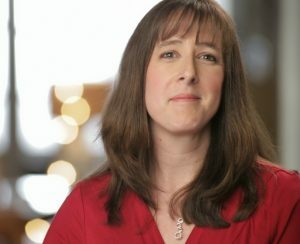 Not only do I love the TASTE of candy canes, but I love the smell of them as well. This easy candy cane sugar scrub recipe requires no actual candy canes, although you could crush some up and put them in there if you would like. During the winter, I probably make a sugar scrub recipe just about every month. The exfoliating and moisturizing properties of homemade sugar scrubs help keep skin smooth and silky during the dry winter months. My whole house smells wonderful right now and it is really starting to feel a lot like Christmas! This is an incredibly easy sugar scrub recipe that takes less than 10 minutes to put together. 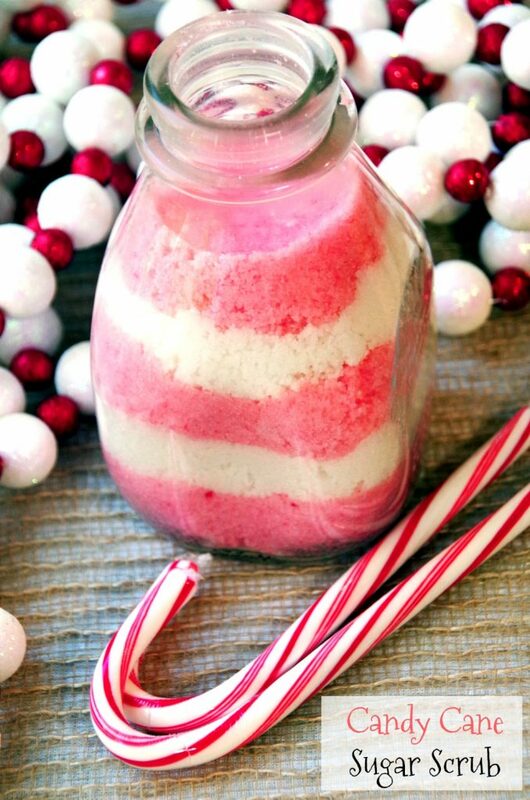 If you want to get pretty layers like a true candy cane, I find the easiest thing to do is press down the sugar in the jar with a cocktail muddler. It fits easily in the jar and presses the layers down firmly so they stay put. 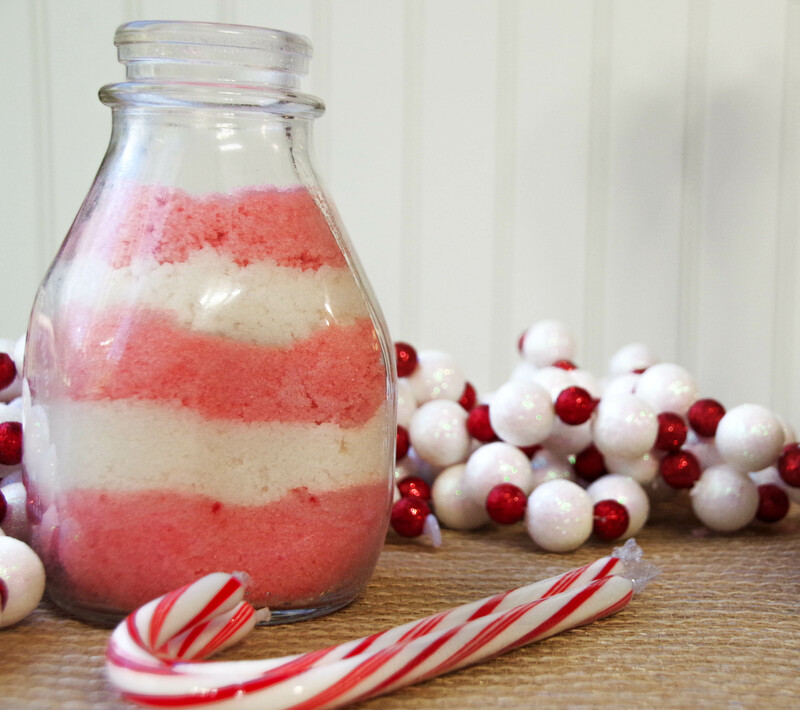 Layer your easy candy cane sugar scrub recipe into a decorative glass jar or just a simple mason jar with a lid. cocktail muddler for pressing down layers. In a bowl, combine the sugar, coconut oil, vanilla, and peppermint oil. Add more coconut oil if needed depending on how you like your scrub to hold together. 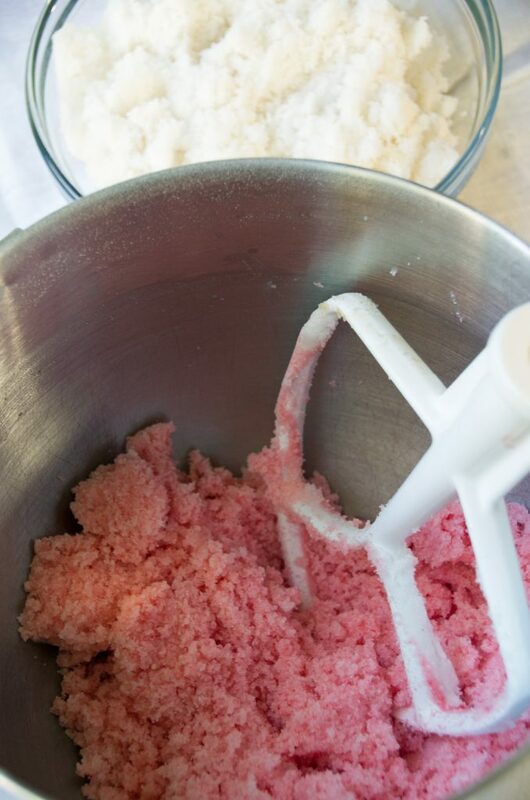 Remove half the scrub and add the red food coloring to the remaining half. Mix until combined. Check out these other sugar scrub recipes if you need more ideas! Layer in decorative glass jars, pressing down layers as you go. 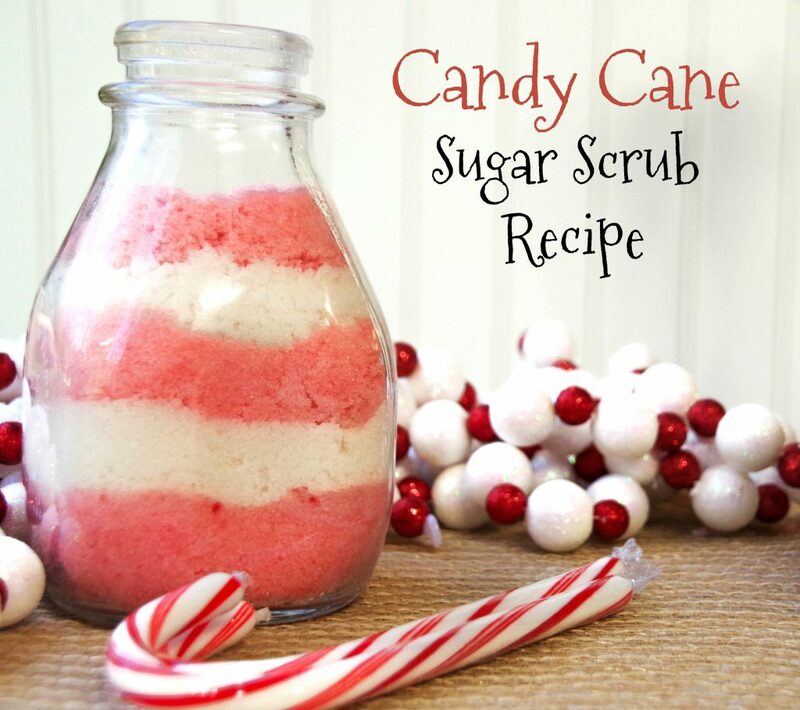 Like this candy cane sugar scrub recipe? Pin for Later!